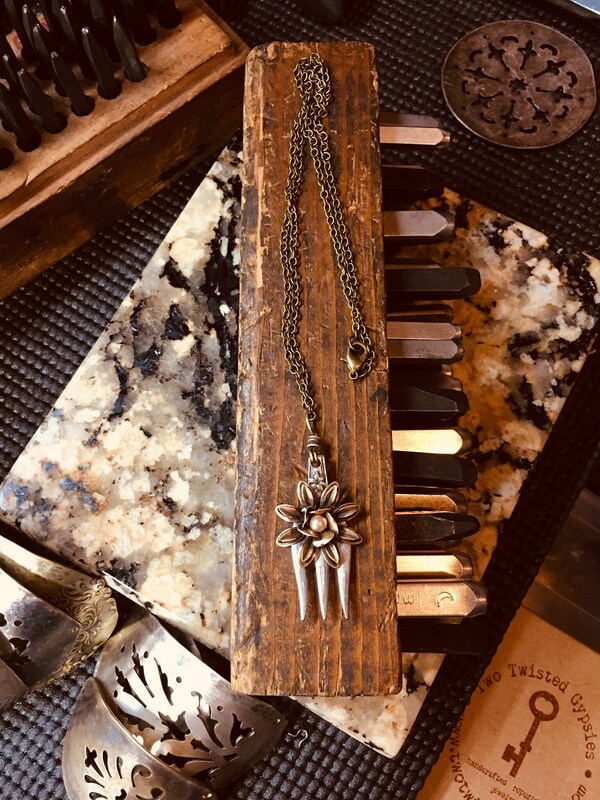 This one of a kind assemblage necklace is built around a silver plated piece of flatware. 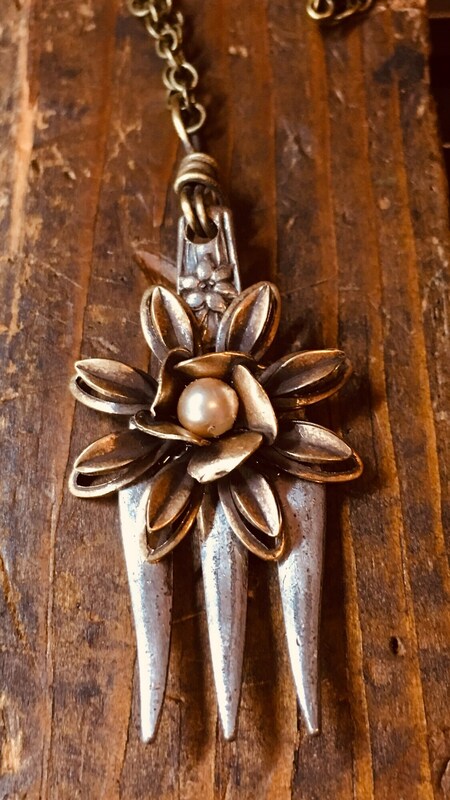 Antique Brass embellishments with vintage style faux pearl placed in the antiqued colored solid brass flower. 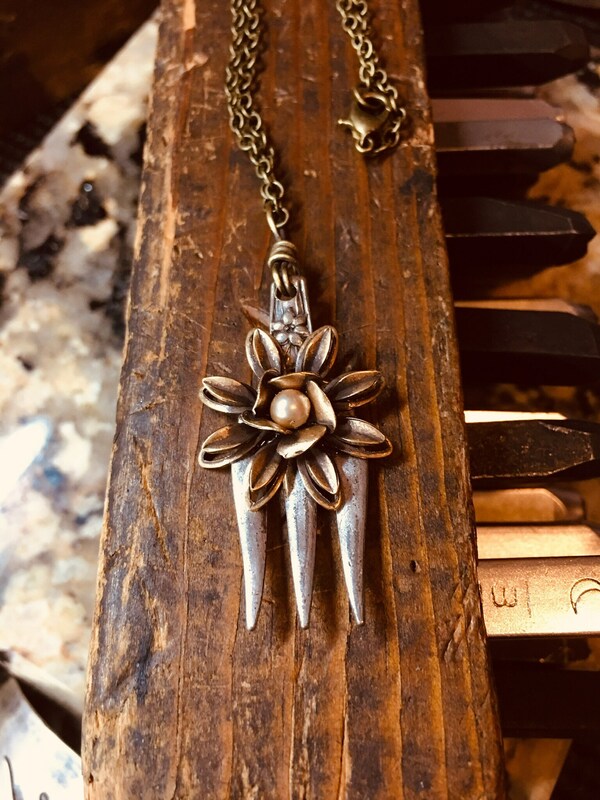 The fork is small approximately 1.5” inches in length by 0.5” inches in width with a 20” long, cable style chain with a lobster style closure. All orders come packaged up ready for gift giving for that special someone or yourself! Item will be shipped USPS first class mail which includes tracking. *Must request insurance be added prior to check out.